Merry Christmas to all! It's that time of year when happiness prevails and smiles are at every turn. Play a part in spreading the wondrous joy. 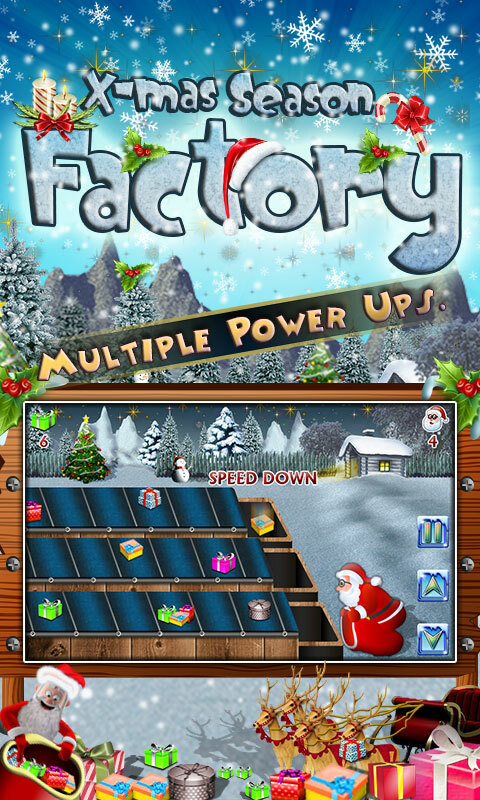 Have a great fun with Xmas Season Factory game. Help Santa to collect gifts coming over 3 different escalators. Santa has to catch them before they get drop. Help Santa to collect correct gifts as all gifts are not correct. If you catch the wrong one your score will get deduct. There are gifts, you do not need to catch them, and just let them go down. See help given in the game to know more about the gifts and power-ups. To catch a gift you just have to stand in front of that escalator on which the gift is coming. There are a lot of levels with different targets and lives. You will have different chances in each level to finish the task. 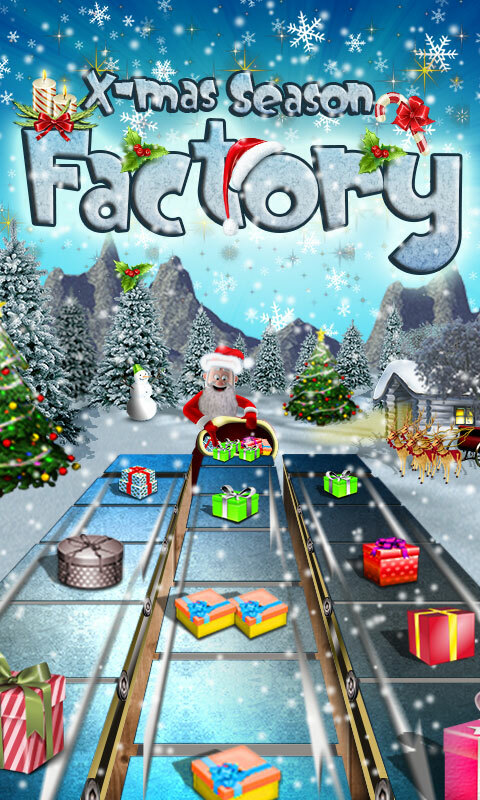 It is a fast reaction game and you have to move as quickly as possible to catch the gifts.